Very exciting! 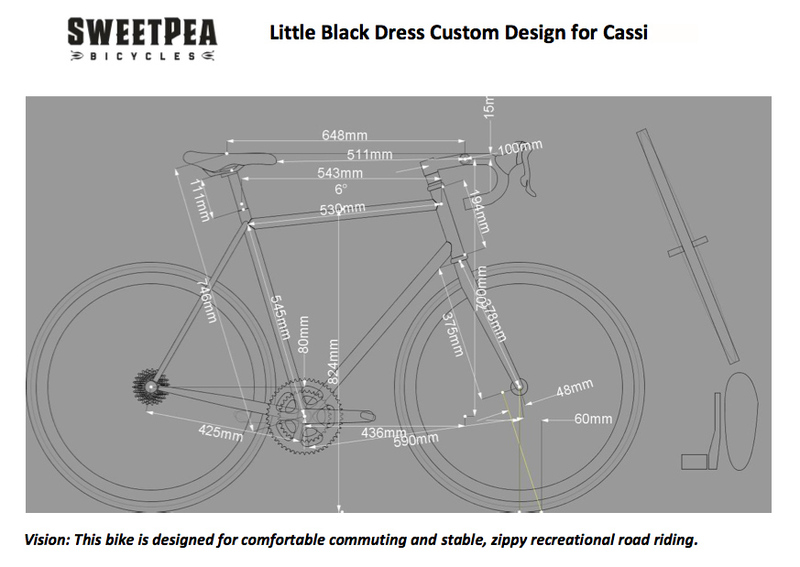 Can’t wait to see the finished bike … I have seen photos of Sweat Pea bicycles before, and and they are always beautiful. How exciting! I’ve been lusting over Natalie’s bikes on Flickr since she started but as a 6′ 5″ guy I’m probably not the target-market. You are going to find a lightweight steel frame even more comfortable that the Dolce. When I started reading this post I was a little worried the fitter would contort you into an aerodynamic “racing” position. 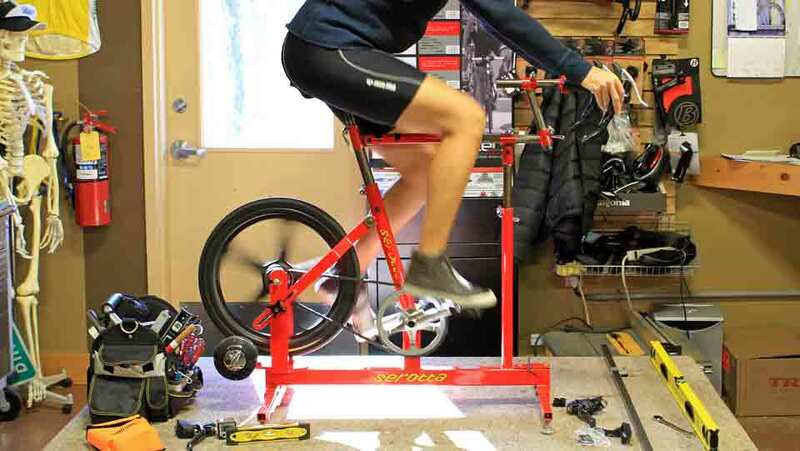 That seems to be the emphasis down here in NZ, the bike-fitting systems are in bike-shops specializing in road-racing or multi-sport and “speed” is the overriding influence. From the height of your bars in that diagram I see that is not the case here. Can’t wait to see that finished Little Black Dress! Thank you – I can’t wait to see it/ride it either. 🙂 I had the same reservations aout the fitting initally, too … but Eddie and this shop are very cognizant about the importance of fitting for various riding styles, from commuter to touring to racing – at all skill levels. 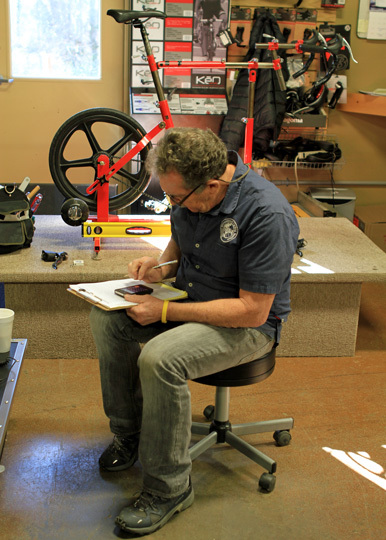 Eddie was very thorough in his interview process, and quickly grasped what I needed with my riding style, and he had talked at length with Natalie before the fit, discussing the type of bike she was building for me. It was a really great collaboration, and I feel very fortunate – they are both wonderful people and are taking such good care of me. Ahh man, Cassi, how exciting?!?! I can’t wait to see her! Excellent choice! I checked out the website and love the look of the Sweatpea bikes. Also love the women-made aspect of them. I’ve not heard of them before but now I’m thinking I might need one too…. Important question…well, important to me, anyway – what color will your Sweatpea bike be? Or is it black, hence the Little Black Dress name? All I will say at this point is that she is not black … 🙂 It’s going to be a surprise. Aaarrrggghhh! You are so cruel 😉 What if I bribe you to tell me the color with a couple dozen Macarons and a bottle of wine delivered to your door? Since the logistics of that are pretty much impossible I guess I will have to wait to know the color like everyone else. N + 1, where N is the number of bikes you already have. In some cases this is constrained by the D – 1 rule, where D is the number of bikes that will cause spousal revolt. 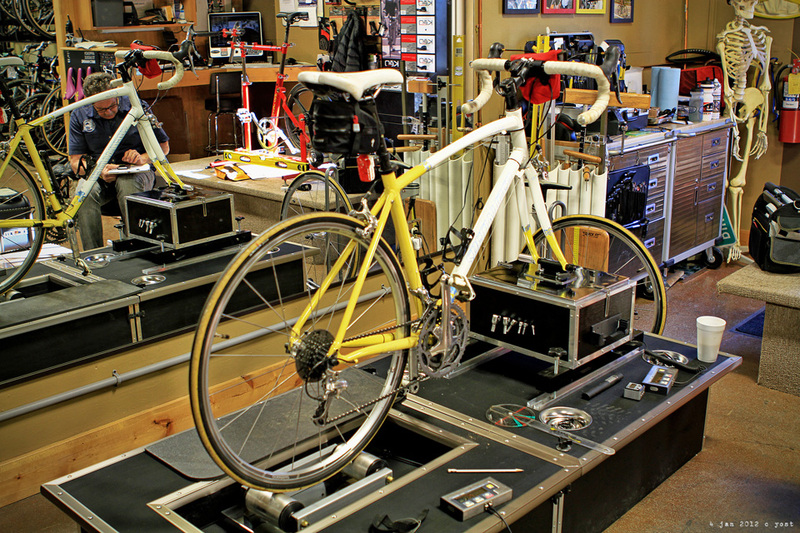 Of course, this is all trumped by the “custom built” qualifier — kind of the hall pass of bicycle purchases. Can’t wait to see the new ride. This is so cool. Now I feel like I need to go out and get myself custom fitted! Really exciting stuff, I’m sure you can’t wait to mount up on your dream bike.